Coral Dueta | Zonyxa. Unique and contemporary jewellery for Work. Love. Play. 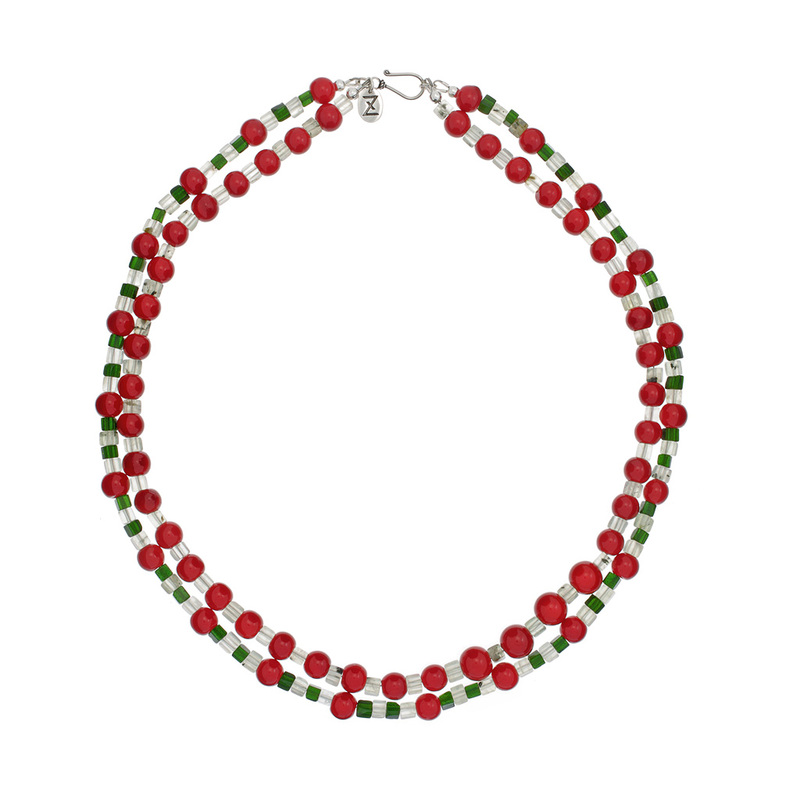 This striking looking double strand necklace comprises three contrasting colours – rich red coral rounds, delicate pale green prehnite and dark green smaragd cubes. The emphasis is on smooth coral balls incorporated in both strands. Hence, the name Coral Dueta. Wear with an open neck top or dress.